We enjoyed meeting throngs of customers, new and old, at the 2015 Motorhome & Caravan Show earlier this month – which also reported record breaking figures. 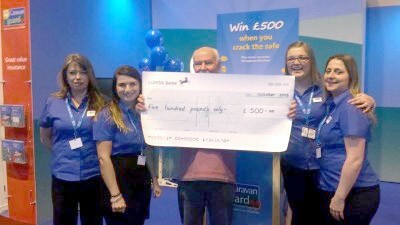 We had one lucky crack the safe winner – Mr Stephen Poutney (pictured) – who went home with a cheque for £500! Plus, we gave away 130 runner up prizes to other visitors to our new stand at the NEC. And we’re still trying to work out the cost to insure the world record-breaking LEGO caravan, which went down a storm with adults and kids alike! It was certainly on our must-see list and we were impressed not only with the attention to detail but to learn how it had taken more than 1,000 hours to complete by a dedicated team of 12. Almost 95,000 people visited the show event during the week, and many manufacturers reported record breaking sales. Coachman reported “its best year yet”, with a retail value of more than £10 million; Marquis also enjoyed its most successful indoor exhibition with orders that topped £10 million and Lowdhams had a 50 per cent growth in sales. Swift Group reported sales from the show being so good its order book is almost full for the year, with its Sprite range 10% up on 2014. Coachman also scooped four Caravan Design Awards 2016, held by the Caravan Club. Coachman’s Vision 580 was named Best Large Family Caravan; the Pastiche 460 won the category Two-Berth Caravan; The VIP 575 was named Winner Any Caravan £22,000 to £27,000; and the Laser 620 took the award for Any Caravan £27,000 to £33,000. Elddis also took home three awards, with the Elddis Affinity 554 winning the category of ‘Small Family Caravan £19,000 – £22,000’, receiving praise for its good use of space; the Elddis Affinity 550 won the ‘Caravan with Dedicated Beds £19,000 – £22,000’; and winning the ‘Over 4-Berth Dealer Special Caravan’ was the Glossop Chatsworth 636 (by Elddis) for its great family layout. 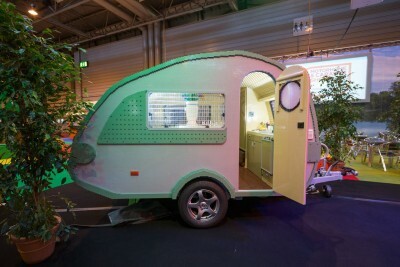 It was also great to hear from the National Caravan Council (NCC) that the UK caravan industry is enjoying high levels of activity and investment. The great “Staycation” looks set to continue as bumper profits have been recorded by some of the UK’s tour and park operators. 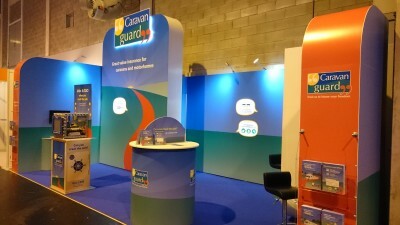 The latest NCC member production statistics also showed that sales of caravan holiday homes by manufacturers had increased by 17 per cent in the last 12 months to the end of August 2015; new registrations for motorhomes are also up and just shy of 20,000 touring caravans were despatched to dealers in the same period, an increase of 5 per cent over the previous year. We’ll back at the NEC in February so hope to see you there! Hi, unless I have missed it could you tell us the winning number that cracked the safe, just want to see if I was close to it. Hi Richard. It was 294.